Dior Addict to Life is for the confident woman who knows what she wants, she lives life fully and intensely. Dior Addict to Life, by Christian Dior, is an addictive floral that opens with a bouquet of precious flowers. The bouquet has a natural freshness with sparkling rose, vibrant jasmine, lilac, and white musk. This would also be a great gift for someone or save for a stocking stuffer! 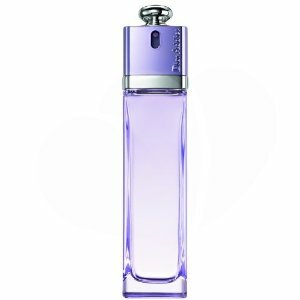 One winner will receive one (1) 5 ml bottle of Dior Addict to Life perfume fragrance. Enter to win via the Rafflecopter entry from below. Giveaway ends June 29, 2012 at 11:59 pm EST. Open Worldwide, 18 years and older. Giveaway Bandit is self sponsoring this giveaway and is no way associate or affiliated with Dior. At times, Giveaway Bandit receives one or more of the products mentioned for free for evaluation purposes and is an affilate of one or more of the products and banners you will see on this site. Regardless, all opinions expressed are still 100% my own. I am disclosing this in accordance with the Federal Trade Commissions 10 CFR, 255 Guides Concerning the Use of Endorsements and Testimonials In Advertising. Giveaway Bandit Disclosure. I would not be interested in becoming a distributor because I simply don’t have the time right now. It does look like a great opportunity though. I’d love to get standard size business cards for my baking company. I love how you can easily upload your own logo and design! I wouldn’t be interested in becoming a distributor because I am simply not interested. I like the Standard Business Cards. I like the standard size busisness cards. Right now, I’m not interested in becoming a distributor (of any product) because I’m too busy to become a distributor. I love the die cut business cards with two rounded corners. Honestly I don’t have the time to be a distributor, but it does sound interesting. The Standard Business Cards would be nice for Introductions. I’m not interested in becoming a distributor because I already have two jobs! I like the leaf-shaped specialty cards. The great thing about these products is that they sell themselves! They really do! I would not be interested in becoming a distributor because I lead a very busy life, and am not especially talented in selling. I’d be interested in the Die-Cut Business Cards. I would not be interested in being a distributor because I don’t like doing sales or sales pitches. I would not be interested in being a distributor because I don’t think I have the proper people skills to sell or persuade a customer. The only reason I would not be interested in them is I do not know a lot of people. I like the die-cut business cards. I think they are really neat. i wouldnt be interested in being a distrubitor because i have SUCH a busy life… kids, school, work.. ugh! My busy life with family and work taking all my time would not allow me to be a distributor at this moment.But i love to be one. I wouldn’t be interested in being a distributor because I just don’t have time. I like the half circle one side business cards. Im not interested in becoming a distributor because I all ready work and go to school full time. Would be too much. I’m just not a salesperson and I couldn’t endorse something I hadn’t tried yet. I’m not interested in becoming a distributor because I’m just not interested in doing something like this. I don’t know anyone that even has the time or cash to be interested in purchasing anything either. TY anyway!